The Internal Revenue Manual (IRM) sets forth the policies, procedures, instructions, guidelines, and delegations of authority which control the operation and administration of the Internal Revenue Service. It consists of thousands of pages describing the minutiae involved in the day to day workings of the IRS. Revenue Agents, Revenue Officers, Appeals Officers, and Special Agents of the IRS Criminal Division all refer to it as their bible. 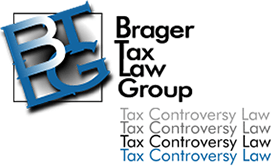 Our tax lawyers find it a useful resource to consult in order to point out when IRS employees are not following their own official guidelines.